This is the 16th article we’ve published by Dr Irene Berman-Levine. It’s taken from one of her newsletters, “Dr Irene’s Nutrition Tidbits”, published last year. You can subscribe to this newsletter by clicking on: http://www.healthandage.com/Home/gm=22 Robert Griffith, Editor. Some individuals struggle with weight more than others. Sometimes this struggle may be based on a medical problem. Applying specific medical nutrition therapies will increase the chance of success in maintaining a healthy weight. This article will focus on one example called Polycystic Ovarian Syndrome (abbreviated PCOS). In the case of PCOS, women may be more sensitive to carbohydrate than the average individual. This is because most people with PCOS have insulin resistance (similar to individuals with type 2 diabetes). Thus, the dietary strategies discussed here will also apply to many people with type 2 diabetes. An estimated 5% to 10% of women of childbearing age have PCOS. It’s a health problem that needs treatment because it can increase a woman’s risk for serious health problems such as diabetes. Treatment needs to always include a diet (and often medications) that reduced insulin resistance. It is called PCOS because most women with PCOS (but not all) have small cysts or fluid-filled sacs on their ovaries. They also have high levels of male hormones called androgens. No one knows the exact cause of PCOS. Researchers are looking into a possible genetic link because women with PCOS frequently have a mother or sister with the same condition. Excess weight may also be implicated but we are not sure if the PCOS caused the excess weight or if the excess weight is a contributing factor to development of PCOS. Many people with PCOS produce too much insulin, which can cause weight gain. Insulin is a hormone that regulates the change of sugar, starches, and other food into energy for the body’s use or for storage. When insulin levels are too high, it’s because the body is not able to properly allow insulin to function. In other words, it’s resistant to the proper action of insulin. Thus, this syndrome is often called “insulin resistance”. Insulin resistance also occurs in type 2 diabetes. When insulin levels are too high, it’s harder to tell the body to release stored energy from fat. Despite high levels of insulin, the body can’t get sugar into the cells, resulting in a higher blood sugar. When the insulin finally works, sometimes it overshoots its target, resulting in a lower blood sugar and the urge to eat. All these problems can result in weight gain. It’s also thought that the ovaries react to excess insulin by making too many male hormones, or androgens. This can lead to acne, excessive hair growth, weight gain, and ovulation problems. If you suspect someone has PCOS, diagnosis must be made by a physician. Do not self-diagnosis based on matching the symptoms below. 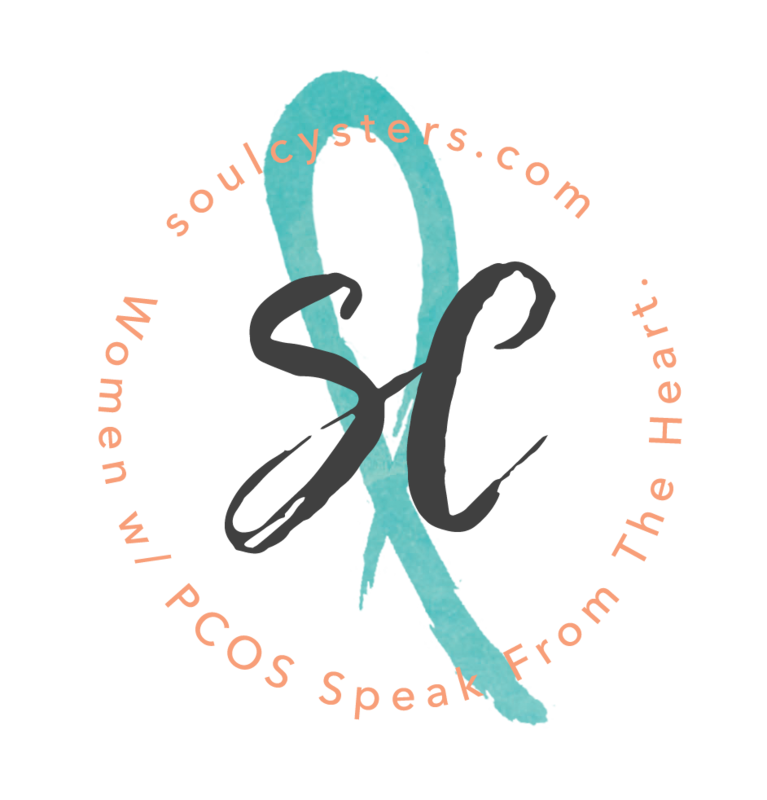 According to the National Women’s Health Information Center these are the most common symptoms of PCOS. If we can improve insulin resistance we can usually improve the symptoms of PCOS. Weight loss often reduces insulin resistance and there is research documenting that it improves symptoms of PCOS. 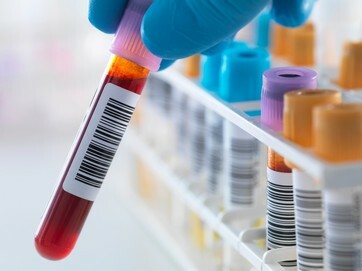 Exercise is known to improve insulin resistance in individuals with diabetes and obesity, but its effects on women with PCOS need to be tested. Medications are often used to change hormone levels or improve insulin resistance but since this is a nutrition article, I’ll focus on dietary strategies – which are important, regardless of the medications used. People often use the wrong terms when describing the PCOS diet. It’s not a low carbohydrate diet. It’s a carbohydrate-controlled diet. This means that there’s a limit on the total carbohydrate consumed and the types of carbohydrate are controlled. For example, all carbohydrates that stimulate too much insulin release (such as candy, soda, or white bread) are avoided and carbohydrates that are nourishing and less likely to cause insulin surges, such as those found in vegetables, beans, whole grains and fresh fruit are allowed in controlled portions. If this sounds familiar it is, because this is also the approach for diets for diabetes. The key (and the challenge for most people) is portion control. Even the most nutritious food, like fresh fruit, can cause problems in large amounts. Combining diet with medications is documented to improve PCOS. I will illustrate by describing a study1 of 35 adolescent females with PCOS who were placed on metformin (a medication frequently used in type 2 diabetes to improve insulin resistance) and diet. The diet was based on assigning a specific calorie level (based on the individual) that was also carbohydrate-controlled. If the body mass index (BMI) was below 25 individuals were instructed to eat between 1,500 and 1,800 calories per day. If the individual struggled with serious weight issues (BMI over 25) calories were reduced to between 1,200 and 1,500/day. Individuals were guided in keeping their total calories from carbohydrate to approximately 44% and protein to approximately 26%, with the remaining calories (30%) coming from fats. By the end of the year there was significant improvements in insulin resistance, weight loss and cholesterol levels. In addition 74% of subjects now had regular menstrual cycles as compared to 22% at the beginning of the study. This is just one example where the combination of a controlled diet and medications will improve the symptoms of PCOS by reducing resistance to insulin.